In order to sabotage Vietnamese revolution, hostile forces and political opportunists have used every possible means, with great importance attached to disseminating evil cultural products to undermine traditional values and cultural quintessence of the nation and gradually derail the socialist cultural life in Vietnam. This is indeed a dangerous form of “cultural invasion” that forces us to maintain vigilance and proactively fight against. Hostile forces’ “cultural invasion” aims to circulate evil culture among the people, erode national traditional values, and step by step shift to political field to form a sense of political dissent against the Party and the socialist regime. Target of the “cultural invasion” is the people, first and foremost young people who are in the process of personality development and have a lack of backbone and living experience. Hostile forces use various wicked artifices, especially the tactics of “people’s hearts and minds attack” with the motto “Small rain lays great dust”. They take advantage of mass media to disseminate evil exotic cultural products and inhumane acts to excite everyone’s mediocre material desire, thereby gradually changing standards of social and moral values and lifestyle, distracting a number of people from obligations and responsibilities, arousing people’s vile instinct, and driving them to pursue material benefits and turn their back on national tradition and existing ethical values. Addition to acts of sabotage against Marxism-Leninism and Ho Chi Minh’s thought, they spare no effort to distort Vietnam’s patriotism, refute the two resistance wars against the colonialists and imperialists in the past and the cause of national protection today, equate justice with injustice, misjudge the role of truly revolutionary soldiers as that of invaders and traitors to the country. 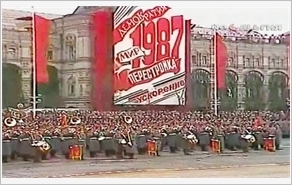 They propagate values of Western culture, refute the class and Party nature of culture and arts and demand a separation between this field and the country’s politics and social life, attach great importance to individualism and opportunism in the culture and arts field, defame masterpieces of humanitarianism and revolutionary heroism, and step by step refute the Party’s leadership over culture and arts. Also, hostile forces use all possible tricks to incite and induce writers and artists, organize a conspiracy to divide solidarity and organization, implicate them in the trend of Western culture and ideology, and establish the “so-called” League of Independent Vietnamese Writers against the Vietnam Writers’ Association. They even use works of literature and art to claim “democracy” and provoke violence and pragmatic lifestyle. Fully understanding the role and the importance of culture, over the past years, our Party and State have always advocated that culture is the spiritual foundation of the society, serving as both the objective and the momentum of socio-economic development. The Resolution of the 12th National Party Congress clearly pointed out: “Combating to criticize and dispel bad, evil, mediocre, backward things, countering wrongful views and acts negatively affecting the building of Vietnamese culture and humans. There should be measures to prevent and repel the degrading of social ethnics and overcome limitations of Vietnamese people”. To effectively fight against “cultural invasion”, great importance should be attached to the following measures. First, continuing to innovate the Party’s leadership method, enhance the efficiency of State management of culture. This is the most important measure to win the “cultural battle” launched by hostile forces in Vietnam. Innovation of the Party’s leadership method aims to have culture developed under its political guideline, maintain freedom and democracy, encourage the making of valuable works of literature and arts, and overcome slackened leadership and democracy that prevent creativity in the field of culture. Accordingly, sectors and authorities at all levels should focus on speeding up institutionalization and concretization of the Party’s position and guideline on culture throughout the system of legal normative documents, mechanisms and policies in line with international standards and Vietnam’s condition. Due attention should be paid to making cadres in charge of culture work really typical of qualities and capable enough to conduct advisory work for authorities at levels on state management of culture. It is necessary to encourage investment in developing forms of fine, healthy culture, impose severe penalties for violations of culture regulations and use of culture to sabotage our Party and State, and establish legal framework to prevent evil culture. Second, building healthy cultural environment. One of the most fundamental measures in the struggle against “cultural invasion” is that we need to put up a strong resistance by building healthy cultural environment in each locality, community, agency, unit and family. Perceiving that, sectors, organizations, agencies, units and localities should adopt measures synchronously to encourage and involve people from all walks of life in the building of healthy cultural environment, with a focus on building schools, culture and education centres, humans and progressive cultural lifestyle. 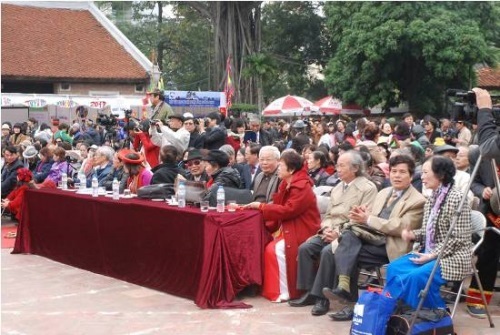 It is necessary to step up the movements “All people unite to build cultural lifestyle” launched by the Vietnam Fatherland Front and “Building healthy, fine military cultural environment” in tandem with the Politburo’s Directive No. 5-CT/TW (12th tenure) on acceleration of studying and following Ho Chi Minh’s thought, ethics and lifestyle to multiply patriotism and national cultural values and transform those into practical revolutionary actions. It is also important to gradually narrow the gap of culture enjoyment among regions and social strata and bring into play the role of grass-roots level cultural institutions and values of religious culture in building new socialist culture. Third, fostering education and values of national protection culture, strengthening and raising every citizen’s national pride and a sense of responsibility towards the cause of national protection. During the process of implementation, sectors and authorities at all levels should grasp the guideline stated in the Resolution of the 12th National Party Congress: “Making a drastic change in awareness towards and respect for law; all Vietnamese people fully understand and honour national history and culture. Affirming and honouring good, noble things while multiplying noble, humane values”. To this end, there should be coordination between sectors, authorities and people from walks of life, with the Party’s agency in charge of ideological and cultural work at all levels as the core; press, media, literature and arts as the vanguard; each individual, family, school and social organization as the ground, to ensure that cultural values in general, and national protection culture in particularly are preserved, educated and propagated in each family, house, school and community, thereby making patriotism, benevolence, national self-reliance, self-respect and courage imbued with the daily life and activities of individuals, families, communities and the whole society, creating a solid wall to protect national culture from hostile forces’ scheme of “cultural invasion”. Besides, it is necessary to attach education of love for family and country to that for socialism, promote democracy, ensure people legitimate rights and benefits sufficiently, and heighten national spirit and traditional cultural values of Vietnamese people, thereby raising a sense of responsibility of every citizen towards the cause of national construction and protection, making them fully aware of which is right or wrong in the face of complicated and sensitive events and information, maintaining their steadfastness in the goal of national independence and socialism, resolutely fighting against arguments in favour of counter-culture acts and degradation on morality and lifestyle. Fourth, being active in international integration, acquiring the cultural quintessence of mankind. National history shows that in order to dominate Vietnam, foreign invaders always spared no efforts to assimilate our nation, first and foremost our culture. However, none of them could do it as our culture was formed and tested during the course of history of national building and protection. To make culture really a sharp instrument to protect the socialist regime from the enemy’s “cultural invasion”, we need to grasp and successfully realize the Party’s viewpoint, guideline and policy on building an advanced culture deeply imbued with national identity. It is necessary to harmoniously manage the relationships and the issue of benefits among people, protect people’s legitimate rights and benefits, heighten the national tradition of patriotism, benevolence and a sense of respect for cultural values and customs of ethnic minorities that do not go against the national interests, thereby generating strong motivations and mobilizing huge resources for Homeland construction and protection. In addition, it is important to proactively detect and handle conflicts arising from new ones and old ones, tradition and modernity, particularity and popularity during the process of cultural integration; inherit traditional cultural values formed and tested during the history of national building and protection; acquire advanced cultural values of human race and create new cultural values to bring into play at highest level national cultural values and effectively prevent “cultural invasion” from squeezing into people’s spiritual life. In a world of rapid changes today, international organizations, investors and tourists come to Vietnam for its political stability and partly for its special, unique culture. However, hostile forces do not expect Vietnam to follow the direction of independent development. They expect our country to give up its past and identity to integrate into the world, which is indeed the “dissolution” into Western culture. This accounts for the fact that imperialism and hostile forces are increasingly stepping up “cultural invasion” of Vietnam. Thus, correctly identifying and resolutely fighting “cultural invasion” serve as an important, urgent demand for today’s ideological and cultural work and practically contribute to repelling evils and backwardness as well as wrongful viewpoints and acts that deprave Vietnamese people.